Over the past few months we have been developing new wearables and improvements to the Rumbler for Sensory Threads, which we successfully tested working together last week. The new wearables are based on Arduino and use XBee for communication, and the Rumbler now has multiple map selection, replay and printing (on the Rumbler’s attached micro-printer) of specific expeditions. In the coming months we are planning to conduct a series of experimental expeditions through London to test the platform and build up a repertoire of expeditions for the Rumbler to replay. We will also be exploring building more portable versions of the Rumbler to make it easier to present at conferences and festivals. A film by Alice Angus and Joyce Majiski using music, oral recordings, drawing, animation and storytelling to playfully unearth local and personal stories, memories and myths against a picture of how concepts of space and environment are shaped by ideas of belonging and home. A personal exploration of the intimate way people form relationships with their environments, Topographies and Tales takes a journey through the myths and perceptions the filmmakers encountered on their travels in the west of Scotland and the Yukon. 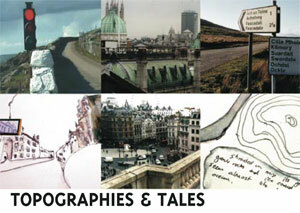 Topographies and Tales is part of Alice’s long term collaboration with Canadian artist Joyce Majiski. They began a collaboration in 2003 which took them to Ivvavik National Park in the Canadian Arctic, Glenmore Lodge in the Cairngorm Mountains, Scotland, the Klondike Institute for Art and Culture in Dawson City, Canada, Joyce’s Tuktu Studio in Whitehorse and the Proboscis Studio in London. Topographies and Tales, 12.52min 2009 from Proboscis on Vimeo. Topographies & Tales is about the relationship between people, language, identity and place, revealing personal stories against the larger picture of how our concept of space and environment is shaped by “belonging” and “nationhood”, and how boundaries, barriers and borders come to be formed. It has included short films, essays, nine Diffusion eBooks, a Creative Lab in London and events in Dawson City, Canada and is underpinning a new body of work exploring peoples relationship to water called At The Waters Edge. Topographies and Tales is based around a body of work that Alice Angus has been creating in collaboration with Joyce Majiski exploring the perceptions of landscape and of the North. It is driven by interests in ideas of proximity and remoteness, technology and presence, and the concept of ‘wilderness’ against the lived experience of a place. 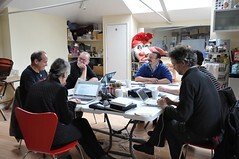 The works are a personal exploration of the intimate way people form relationships with their environments. They are underpinned by an exploration of how the technologies of travel and communication impact on a sense of time, from the coming of the railroad to the ‘new’ world of data and communications: our perceptions of geography are affected not just by knowledge, but by the way it is mediated. Beginning in the winter of 2001 Alice took the railroad across Canada, from east to west, against the historic flow, creating the film, Near Real Time. Then, in 2003, Alice participated in the first Parks Canada residency in Ivvavik National Park in the Northern Yukon. She began a collaboration there with guide Joyce Majiski which took them to Glenmore Lodge in the Cairngorms, Scotland in 2004 and Klondike Institute for Art and Culture in Dawson City, Canada in 2005 for their short film Topographies and Tales 2009. Using music, oral recordings, drawing, animation and storytelling to playfully unearth local and personal stories, memories and myths against a picture of how concepts of space and environment are shaped by ideas of belonging and home. A personal exploration of the intimate way people form relationships with their environments combining animation and live documentary footage, Topographies and Tales takes a meandering journey through the myths and perceptions the filmmakers encountered on their journeys in the west of Scotland and the Yukon. In the winter of 2001 Alice took the railroad across Canada, from east to west, against the historic flow. A Diffusion eBook series, Topographies and Tales, contains nine eBooks by Alice Angus and Joyce Majiski created as a result of the project. The first in a new a series of eBooks growing out of Topographies and Tales. At The Waters Edge are water based investigations exploring different perspectives of what it means to care for the environment and how it can affect the way in which water environments are managed and cared for. Team: Alice Angus, Giles Lane, Orlagh Woods (2004-09). Sonic Geographies takes sound as the entry point for excavating and mapping urban experience and invisible infrastructures of the city. 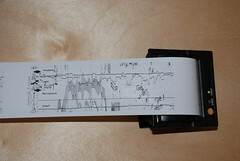 In 2001-02 Proboscis created a series of maps and journeys that were personal renderings of sonic experience – sounds of the personal world in conversation with sounds of the city. These mappings attempted to excavate the layers of sound that make up the city and create strata of difference: from the sound of a city’s church bells to the shifting sonic signatures of traffic, music radio and the layers of wireless communications. 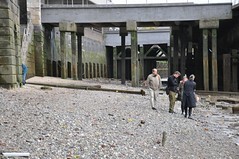 The excavation was designed to open up a new space of enquiry into the experience of the city, and how sound functions as a kind of infrastructure for understandings of place and geography particular to contemporary conditions in the city. 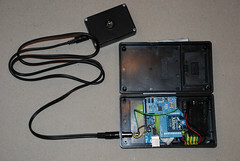 Snout investigates how data can be collected from environmental sensors as part of popular social and cultural activities. 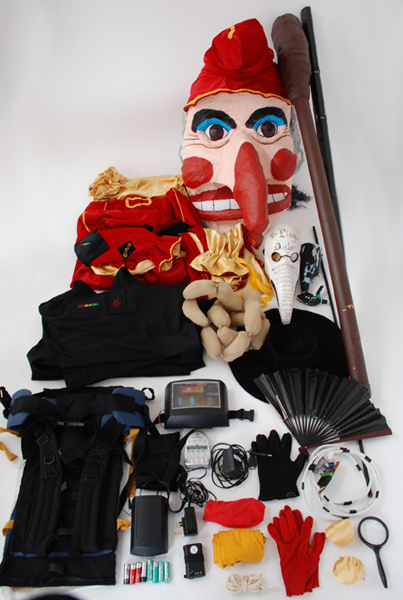 Proboscis collaborated with inIVA and researchers from Birkbeck College’s Pervasive Computing Lab to design and build two carnival costumes (Mr Punch and the Plague Doctor) that were instrumented with environmental sensors and LED displays. A website was created (using free social software tools) to show the sensor data mapped against other local knowledge (drawn in via RSS feeds) and contextual data (about local health, poverty, education etc) scraped from the Office of National Statistics. 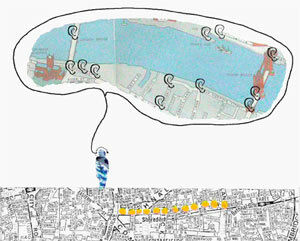 In April 2007 we staged a mock carnival in Shoreditch to collect pollution data and stimulate conversations. The procession started out from the new inIVA building on Rivington Street and weaved a route up Charlotte Road to Hoxton Square, down Hoxton Street and round Shoreditch High Street to finish up with an afternoon public forum at Cargo. Team: Demetrios Airantzis, Bill Aitchison, Alice Angus, Giles Lane, Jordan Mackenzie, Karen Martin, George Roussos, Jenson Taylor & Orlagh Woods. Funded by Arts Council England and Esmee Fairbairn Charitable Foundation.